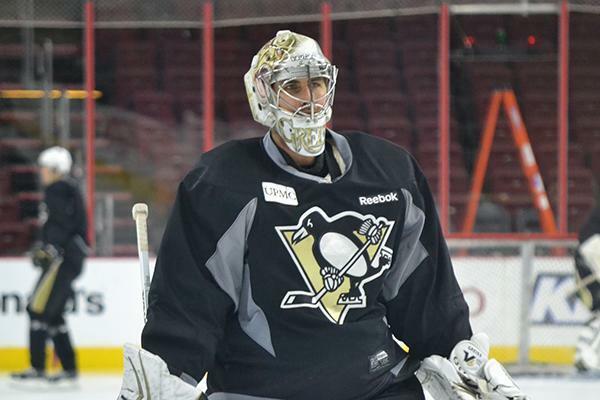 Thomas Greiss was the first goalie off the ice, and confirmed afterward that he would be in net tonight for the Penguins. This will be his first start since a win on Jan. 2 vs. Tampa Bay and just his second start since Dec. 13 vs. Columbus. "It’s going to be exciting," he said. "You know the crowd is going to be into it and both teams are going to be really into it. It’s going to be a tough game, but it will be fun out there. They haven’t had success so far, but I think they have a really good team. They have two really good scorers (in Claude Giroux and Jake Voracek), so we’ve got to be ready for those guys and play a hard game tonight." Greiss has made two career starts against the Flyers, both coming in this building -- and both of them wins. He's 2-0 with a 1.00 goals-against average and .973 save percentage (73 saves on 75 shots) in those games. 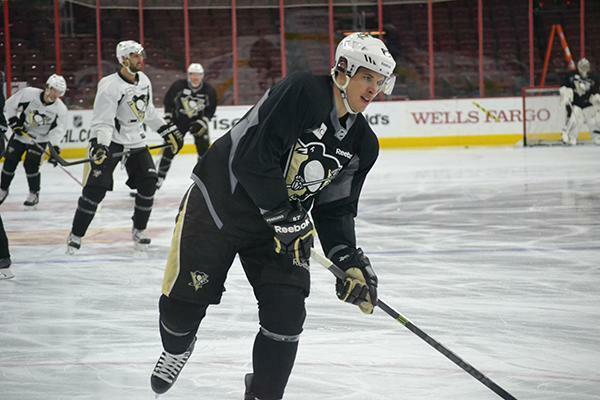 "I’ve played here twice so far and both games went pretty well, so hopefully I can keep that streak going," he said. 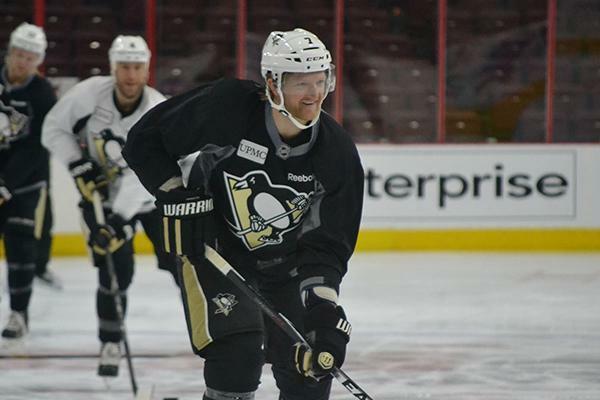 This morning head coach Mike Johnston provided updates on wingers Patric Hornqvist and Blake Comeau, who have both been out of the lineup for a while now. Comeau has missed the last 11 games with an upper-body injury, while Hornqvist has missed the last 9 with a lower-body issue. "Both of them are getting X-rays this week, so we’ll know from those X-rays exactly what the timeline is for them," Johnston said. "But the anticipation was, as far as our trainers go with them skating, was for both of them to start skating in the next 4-5 days. I know it’s at the All-Star break, so there won’t be much skating going on at that time. But certainly as soon as we come out of the All-Star break, we anticipate they’ll both be on the ice in some form or fashion -- whether it’s in the morning before we get on or it’s starting to get on with us." 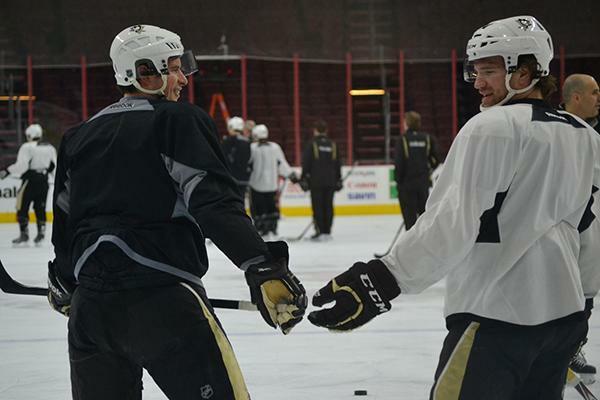 Of Simon Despres, Johnston said, "He just wasn’t feeling good this morning. We got him back to the hotel to get some rest." Will Greiss get the nod between the pipes tonight? My boss Sam Kasan has the latest Scouting Report on the Philadelphia Flyers, who lost yesterday to the New York Islanders, 7-4. Here's a few game notes in infograph form to get you ready for tonight's matchup, which will feature four of the NHL's top-five scorers. 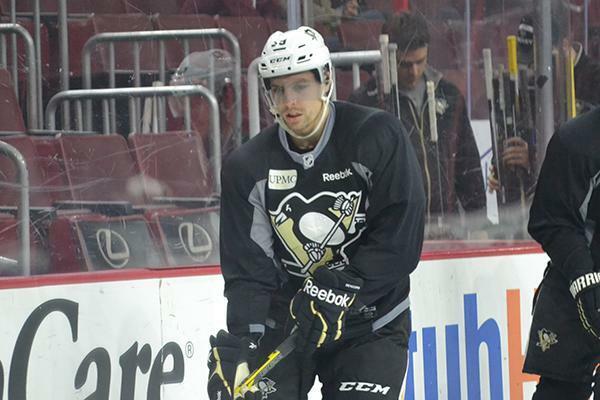 The Penguins visit the Flyers (TV: ROOT SPORTS; Radio 105.9 The X) at Wells Fargo Center. 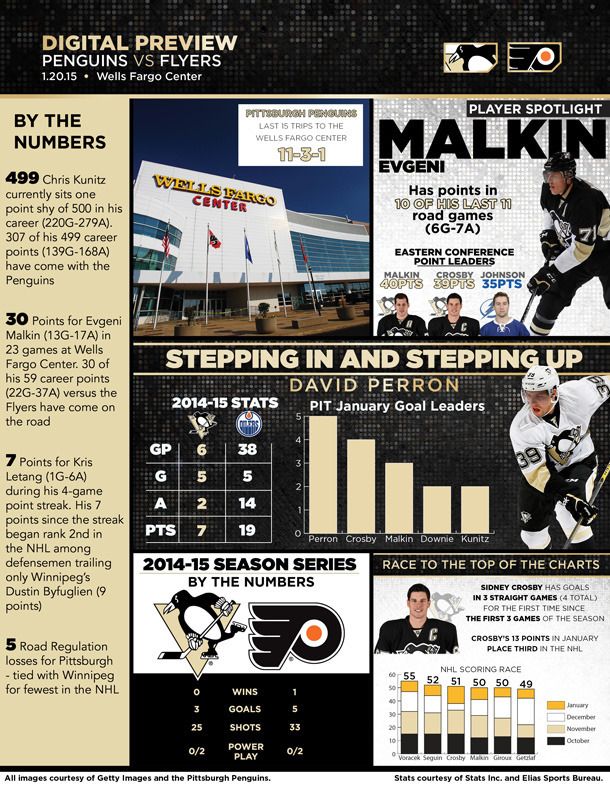 The Penguins have gone 11-3-1 in their last 15 visits to the Wells Fargo Center. During this run, the Penguins have surrendered 38 goals to the Flyers. Of those 38 Philadelphia markers, 13 have come on the power play and two were shorthanded. 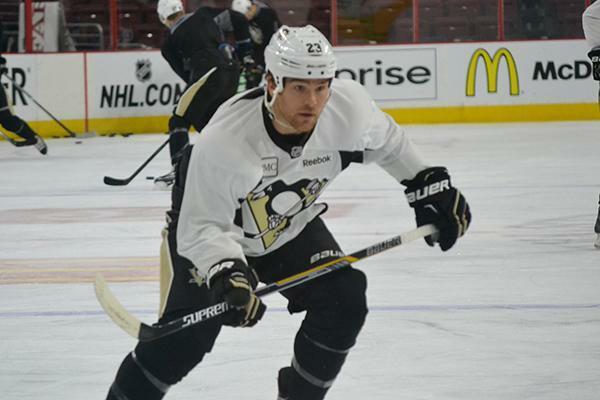 The Penguins have given up just 23 even-strength goals in those 15 games, an average of just 1.53 goals per game. 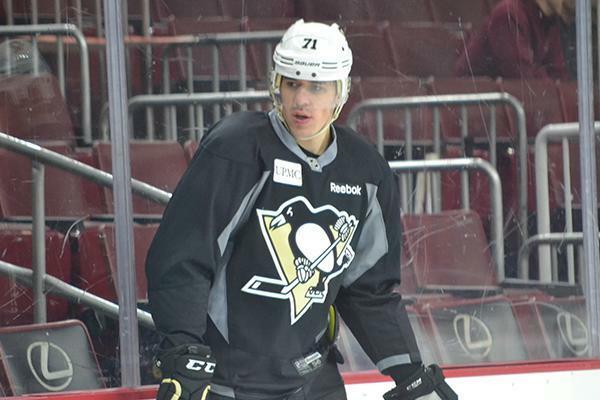 The Penguins are hoping to end a five-game winless stretch (0-4-1) against the Flyers. 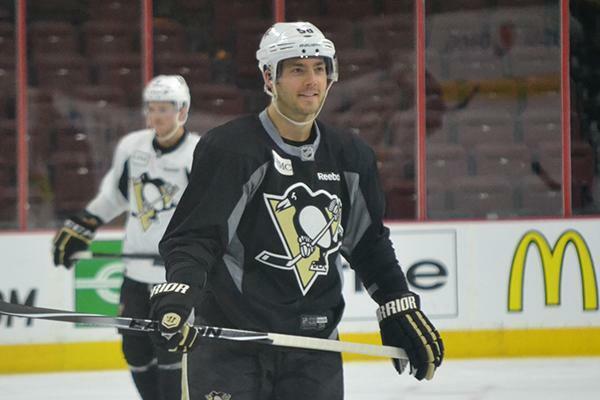 Pittsburgh’s last win versus Philadelphia came on Oct. 17, 2013 at the Wells Fargo Center (4-1). During the past seven years, the road team has won 23 of the 34 regular-season games in the series. Pittsburgh has won 11 of 16 games here at Wells Fargo Center, while the Flyers have won 12 of 18 games at Mellon Arena and CONSOL Energy Center. 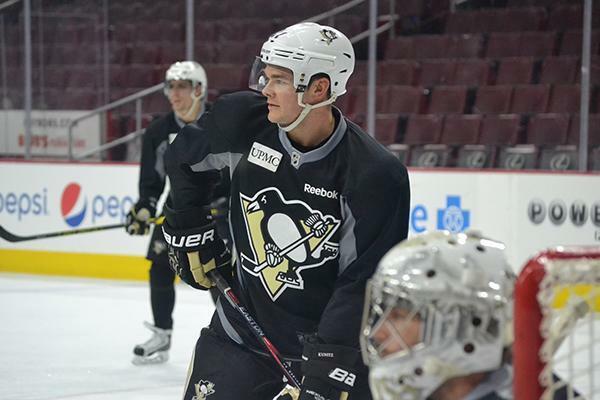 Tonight the Penguins begin their eighth set of back-to-back games. Thus far they have a cumulative record of 6-4-4; including 3-2-2 the first night and 3-2-2 in the second game.